Check cashing is what we do best. Did our name give it away? We want to be your first stop in Florida. They don’t call us The Check Cashing Store® for nothing. We’ve made it our business to get you your money fast, with no hassles and no long waits. That goes double for checks. 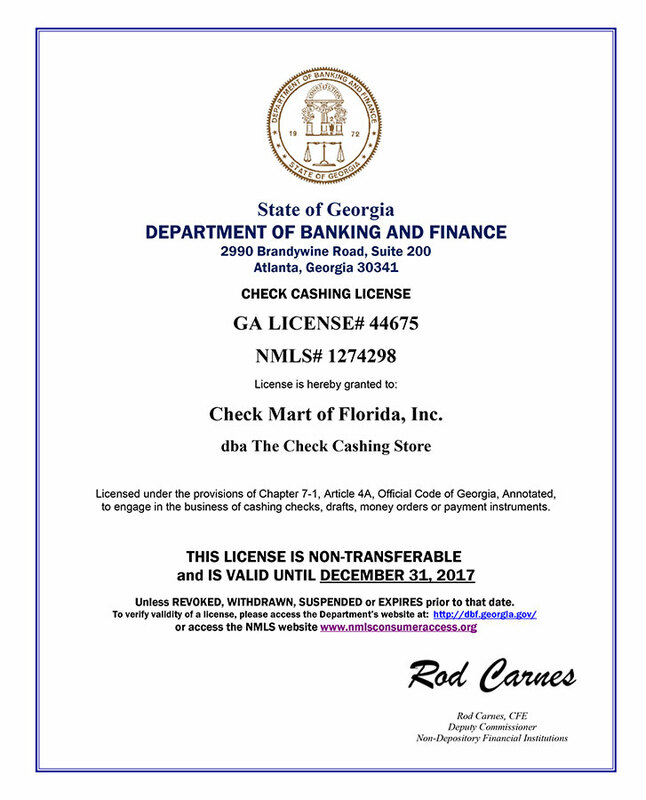 We cash all kinds of checks right on the spot in all of our Florida locations. Checks are good but cash is better. Next time, get yours cashed at The Check Cashing Store. We can cash them all. Call a store for details. Some conditions may apply.